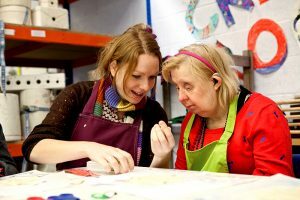 Working at a range of social enterprises across Bristol and South Gloucestershire, this is a rewarding role where you can really make a difference. 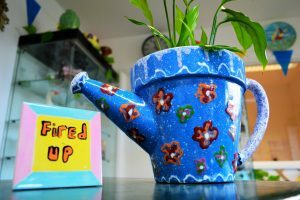 Learning disability charity Brandon Trust, operates several diverse social enterprises including cafes, a pottery, a ceramics studio (that’s us! ), a farm, gardening projects, woodwork and craft projects, and a medical packaging enterprise. Working flexibly across the enterprises, this is a great opportunity to develop skills and experiences across the various projects. 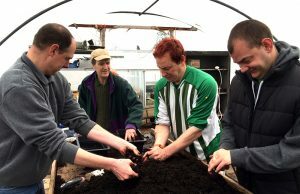 You’ll work alongside the permanent teams, supporting adults with learning disabilities to gain valuable work and vocational skills. Generally, you’ll be offered shifts a week or two in advance; you choose the ones that suit you. Working patterns are normally between 9am and 4pm, Monday to Friday, but may occasionally include some evening and weekend hours. The hourly pay is £7.20-£8.11, depending on qualifications and experience. You don’t necessarily need experience of working in health and social care as we provide full training. You can find out more at the Brandon Trust website, or call Jo on 07464 670 291 for more information. Closing date for applications: 17 March, 2017.